Discover your special skills and talents. Connect with other girls, make friends, learn about teamwork, problem solve, and develop healthy relationships as a Girl Scout or as an adult volunteer. Your gift helps the 28,000 girls we serve right here in New York City grow in courage, confidence, and character, to make the world a better place. 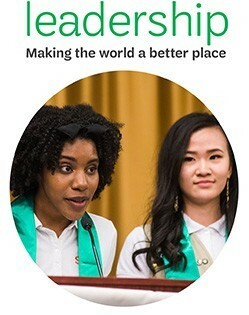 Through the Girl Scout Cookie Program, girls learn five essential leadership skills. All proceeds from the sale stay right here in NYC. Girl Scouts of Greater New York helps over 31,000 girls build courage, confidence, and character. 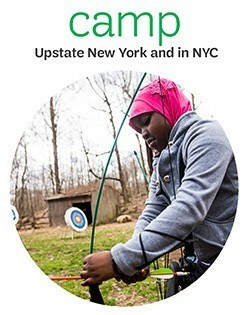 Get outdoors and explore at either our 425 acre camp upstate, or at our day camps in the city. All year long Girl Scouts unleash their ultimate potential to do amazing things for themselves and their communities. Bridging ceremonies are the perfect time to stop, take stock of every awesome adventure, and celebrate as we embrace the future! Join us as our girls take their next big step in their Girl Scout journey on Saturday, May 4, 2019. New York City’s youngest entrepreneurs have two new ways to sell our yummy goods this year. 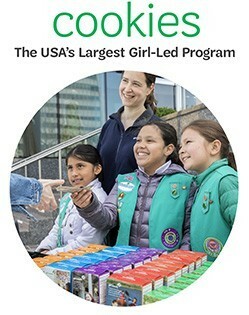 We're hitting the road with a truck traveling through all five boroughs and our Girl Scouts will be running a pop-up store in Manhattan featuring Thin Mints, S’mores, Trefoils and other crave-worthy cookies.